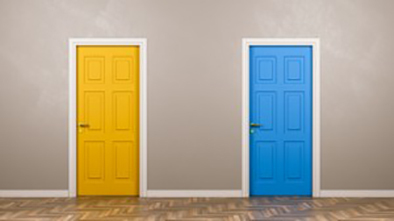 GMAT or GRE, Which Should I Take? 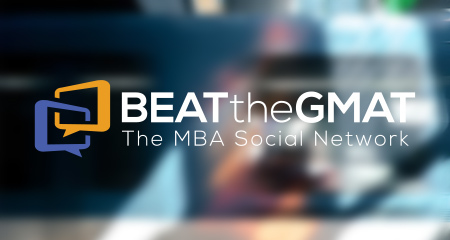 Ahh… the great debate – GMAT vs GRE. Which test do you take if you are applying to MBA programs? This is a fairly recent dilemma as it has just been in the past five or so years when most MBA programs started to accept GRE scores in addition to the GMAT. The reasoning for the schools is that it is a great way to attract candidates who had taken the GRE for other graduate programs but now had decided to apply to business school instead of or in addition to other graduate school programs. The advantage for the candidate is clear. If you bomb the GMAT, the GRE is always waiting in the wings as the back-up plan. The GRE is not necessarily easier than the GMAT but it is a different test that may be a better fit for you. But old habits die hard and it is difficult for some applicants to really believe that MBA programs will consider both exams equally in the application process. Several of my clients felt obligated to take the GMAT despite the fact that they struggled with the test format. Don’t worry. Admissions committees truly don’t care which test you take. They simply want to ensure that students they admit and enroll are prepared to take on the quantitative rigor of their MBA program. If you have misgivings about your test taking abilities try practice tests for each first. At that point, the answer may be obvious; whichever test will paint a better picture of your quantitative and verbal prowess should be your choice. If you don’t test well. Another advantage for the GRE is that in the business school ranking process it isn’t scrutinized as much. A core driver of business school rankings is GMAT average, so if your score is really low, the entire class’s average is dragged down. However, GRE averages are typically not weighted as heavily. While considered in the rankings, GRE averages are considered far less. In other words, if you need to hide a bad test score, the GRE will do that for you. What has become more common in the recruiting process is for potential employers (read: top consulting firms) to ask applicants for their GMAT score. While these firms may accept GRE scores, it is not what they are used to and it may affect how they think of you. Most admissions committee members would rather see a strong GRE score than a lower GMAT score. It is that simple and maybe that’s the answer to the question of GMAT or GRE. The post GMAT or GRE, Which Should I Take? by Harold Simansky appeared first on Stratus.